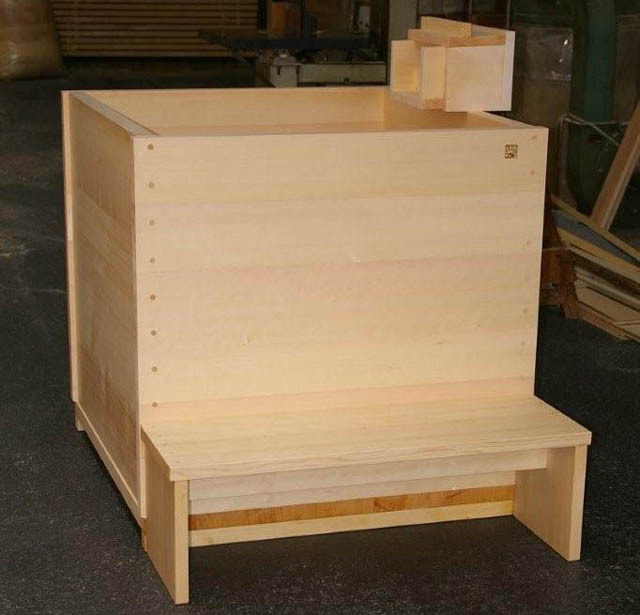 This tub (size:L1000mm x W1040mm x H985mm) is in quarter-sawn hinoki-knotless grade and has one internal seat. The bathtub is also equipped with a spout which will be mounted recessed in the wall. The area of installation did not allow a longer tub, so it was opted for a short but wide and roomy shape. In this conditions, it is comfortable to take a bath from a sitting position, hence the internal bench. Additionally, the tub is deeper than standard, so it is possible to enjoy the hot water up to your shoulders even while sitting on the bench. 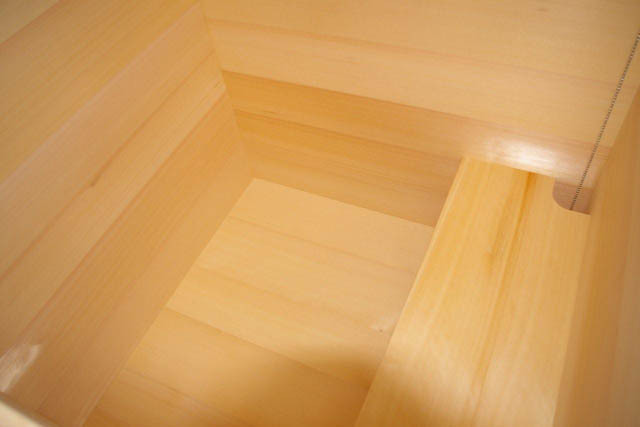 At last, note the custom bench/step outside of the tub matching the width. This can be used as a step to enter the deep tub at ease. Also, we recommend to use it as a bench for relaxing before and after the bath.